Audio is imported to Revoice Pro tracks using drag and drop. 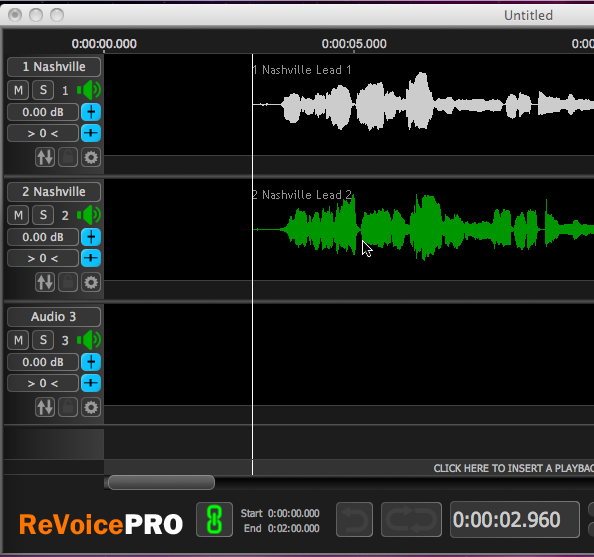 Simply drag the audio file(s) from your computer's file system onto a track in Revoice Pro. Dragging and dropping directly from a DAW is more complicated, and only works with certain systems. See DAW-specific operation. If using this method, we recommend using the BWF (Broadcast Wave File format) because these files contain correct timecode information. If BWF format is not available, use .wav format. 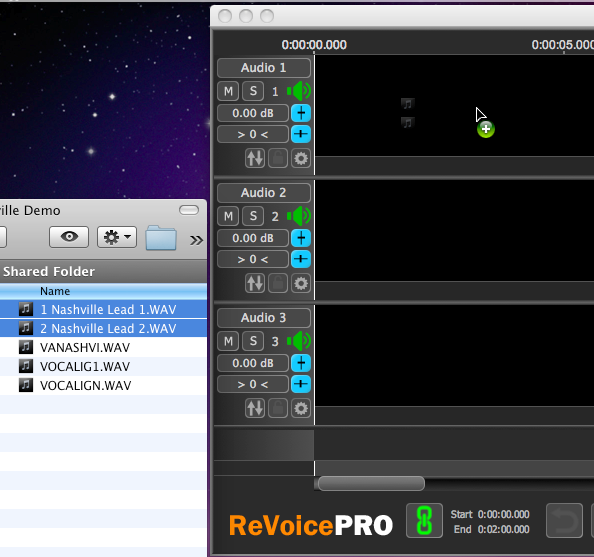 Below we show an example of dragging and dropping two files into Revoice Pro, assuming Auto Spot is turned on. Plus, each track is auto named from first dragged filename.